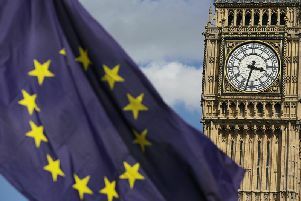 Despite initial intent to leave the European Union on March 29, the process has been postponed by EU Officials in Brussels after Prime Minister Theresa May pleaded for a further delay in order to amend her Withdrawal deal. Back in 2016, Leave won the majority in Calderdale with 55.7 per cent of the 71.05 per cent turnout, higher than the national average of 53.4 per cent. Peter Stott, a resident of Halifax said: "Halloween's the operative word, it's like a scary movie! "I think it is a waste of time and I think it goes in the face of democracy. I just think she [Theresa May] is delaying it because she wants to stay in the EU. All the EU was, was the federalisation of Europe." Judith Gunbey said: "I don't think much at all. I think it is an absolute fraud." A male resident said: "Although the majority wasn't that big, they should have honoured the will of the people. We should have got out as soon as possible and it would have saved us a lot of money." 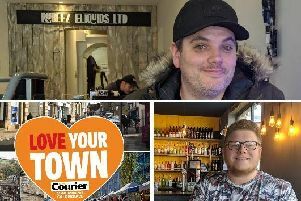 Matty Parkinson, an insurance broker said: "We need to leave because it's what people voted for and we need to get it sorted." A couple visiting Halifax said: "We're avid Remainers, I just think it is a farcical now and it is going on for far too long now." "It's an impossible task and I don't blame the government, but the voters. Previously they didn't actually know what they were voting for, they were hoodwinked by the 'fear campaign'. "They voted for something they didn't understand, but now they might understand it if they were to vote again. If you were to buy a house, you'd have it surveyed and they decide whether to buy it. With Europe, we need to have it surveyed and they decide whether to leave." The extension has left both people across the country and in the EU frustrated and has been met with intense pressure from Conservative MPs, who oppose any further delays. At Prime Minister's Questions, Henry Smith, Conservative MP warned the Deal extension would cost the UK £1bn per month, whilst Tory back bencher Craig Tracey said Mrs May should abandon her "diluted deal" and take Britain out on World Trade Organisation terms. But the Prime Minister fired back, claiming if the MPs hadn't voted against her Withdrawl Deal, Britain would have already left, "the best Brexit for the UK is for us to be able to leave in an orderly way, to be able to leave with a deal," she said. Donald Tusk European Council President addressed the UK saying: "This extension is as flexible as I expected, and a little bit shorter than I expected, but it's still enough to find the best possible solution. Please do not waste this time."